As a tribute to mark the one-year anniversary of Steely Dan co-founder Walter Becker's untimely passing, there are now 10 new entries covering lyrics from Walter Becker's solo work. Ever wondered what a bodhisattva is? Or how to gaslight somebody? Then this website is for you! You're looking at an A-Z glossary of over 130 obscure words, people and places — all taken from the lyrics of Steely Dan songs. 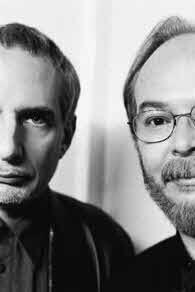 The creative genii behind Steely Dan (Walter Becker and Donald Fagen) have long been fond of peppering their lyrics with arcane literary and cultural references, the meaning of which can be murky at best (given the duo's legendary reticence). After searching in vain for an explanatory lexicon, I decided to create my own — the result being this website, which was first launched in June 2000. It may also be obvious that this site is mainly for the benefit of non-Americans — I'm sure most Yanks would know where TJ is and what IHOP does, but for myself (an Irishman) and for the rest of the world, it's not quite so intuitive. Though even if you were born and bred in the USA, you might be able to learn a thing or two here — how many Americans know where Lhasa is, or how to mix a zombie? Final note: I'm always looking for new ideas on how to improve this site — please visit the Feedback page to send me your comments, suggestions or corrections. Enjoy!